Prov. 31:8, "Speak up for those who cannot speak for themselves, for the rights of all who are destitute." 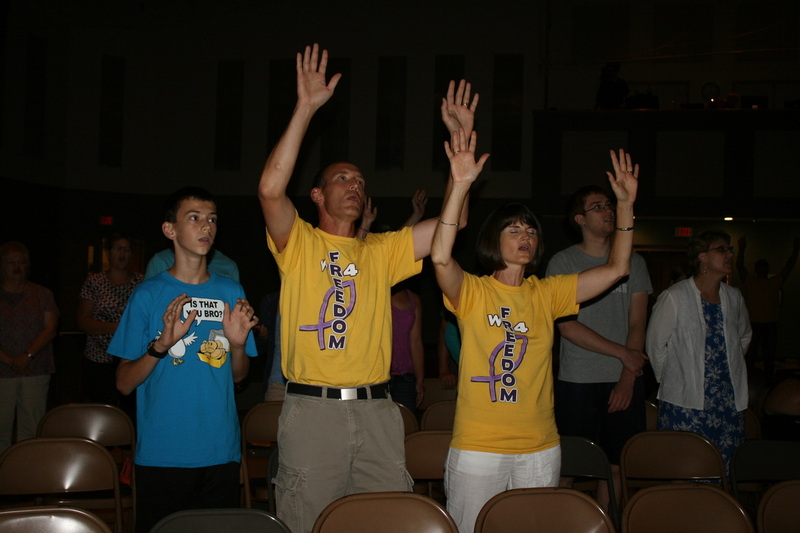 Come join us on Saturday, August 9th, 6:00pm for a Worship4Freedom night! We will be worshipping at Park Chapel Church in Greenfield, IN. Our bands will be the Uturn Youth Band from BRCC and The Crossing Band from PCCC. It will be a wonderful night of worship, with education about the trafficking epidemic around the world and in the United States. This will be a free-will donation fundraiser for WR4Freedom's 2014 goal of $20,000.